drive. 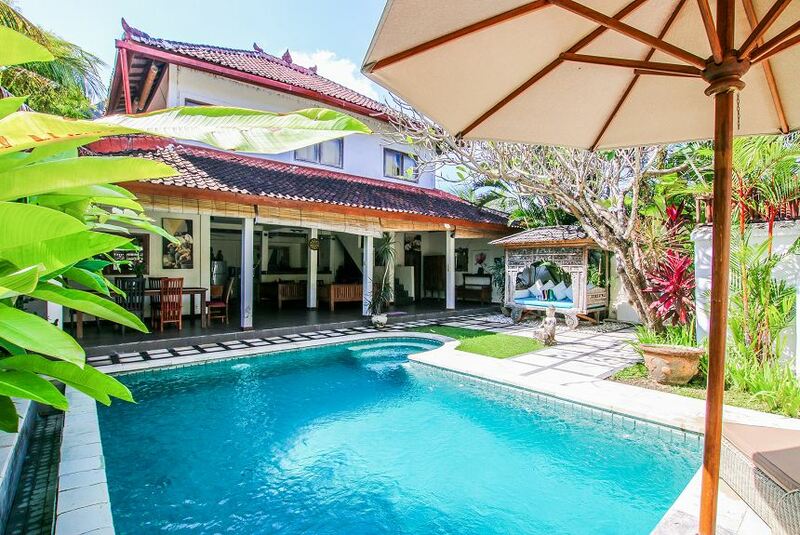 The surroundings provide a peaceful and sensual atmosphere accompanied with access to the main street of Seminyak that has the best restaurants, bars, exclusive designer shops, fancy nightclubs (like La Favela), wonderful beaches and splendid surf spots. As for the Villa itself, it has a FULLY EQUIPPED open space KITCHEN containing a gas stove, oven microwave, fridge, water cooler, etc. the area has cozy sofas and tables for leisure time.